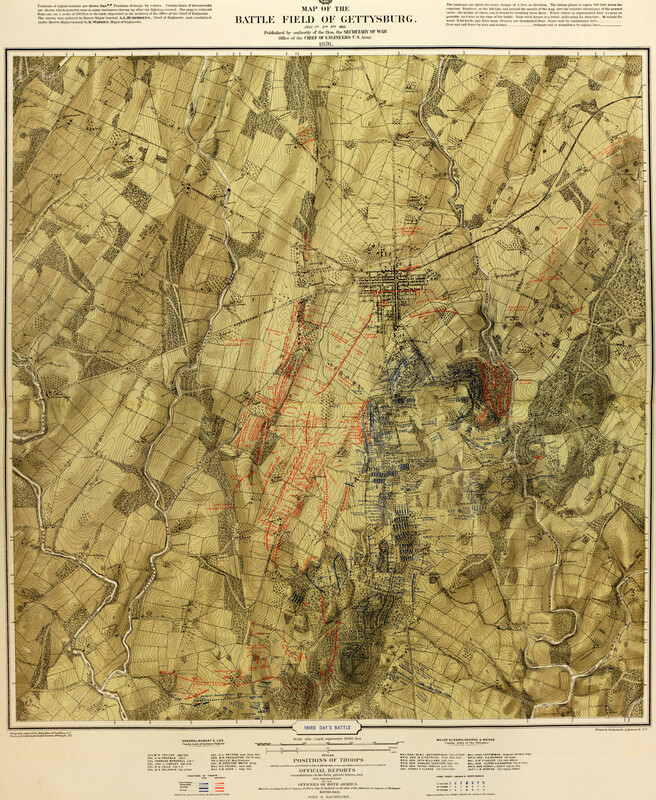 This map isn't part of any series, but we have other maps of the Civil War that you might want to check out. 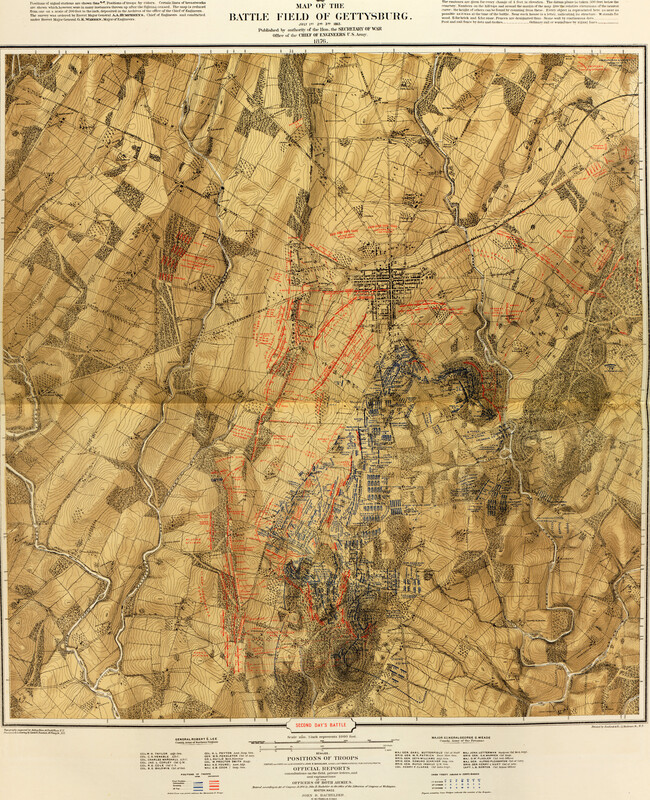 Here are some maps illustrating one man's perceptions of how the Battle of Gettysburg [gmap] unfolded in the U.S. Civil War. 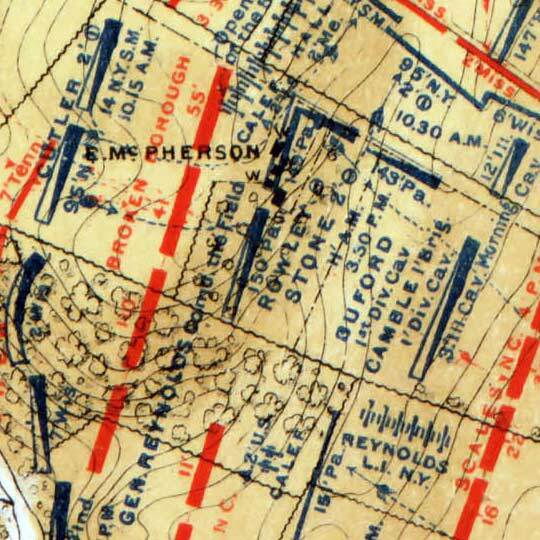 Interesting to me how similar these maps are in form to modern USGS 7.5" Topos. Anyone else seeing that? Anybody with more info or insight into why this is is encouraged to share; I'd love to hear it. 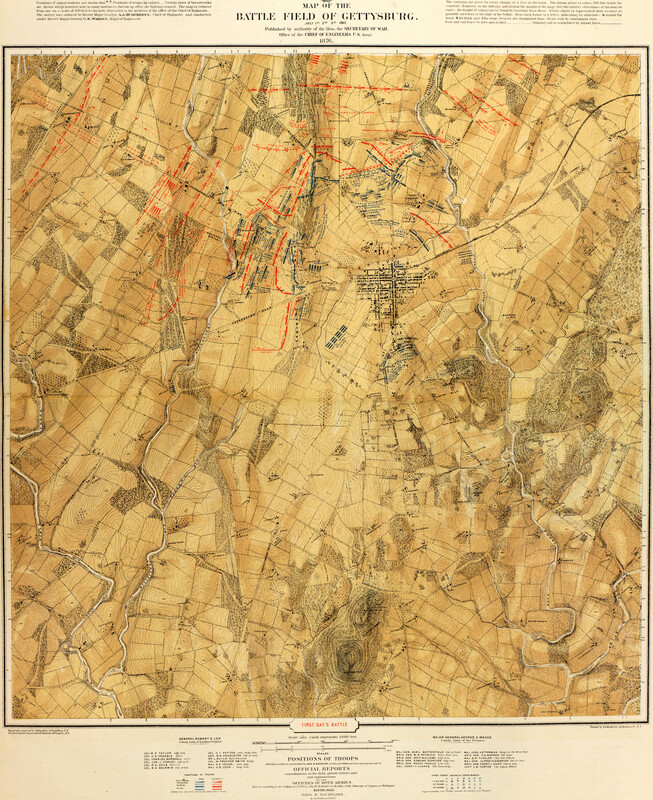 For more map resources and imagery from this period in Gettysburg's history, check out the Historical Society of Pennsylvania's website.